PS2 Games Coming to PS4 via Emulation | Nerd Much? While most of us were sleeping and preparing to binge watch Jessica Jones on Netflix today, Sony confirmed that they’re hard at work to bring PS2 games to the PS4 via console emulation. 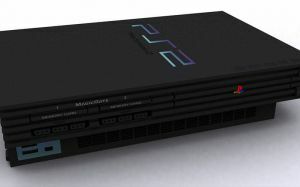 The emulator that will allow you to play PS2 games on your PS4 will mimic the original software of the PlayStation 2 console, similar to the way that Xbox One’s backwards compatibility currently works. We’re not sure whether or not you’ll be able to use your old PS2 discs on the platform or if the emulation will simply allow you to play PS2 games purchased through PSN. Either way, it’s a much-requested PS4 feature that has yet to be implemented. The PS2 era spawned some of the best PlayStation games to date, and there are certainly more than a few underrated PS2 games we really miss as well. Hopefully, we’ll hear more about the emulation soon. In the meantime, stay tuned to Nerd Much for more gaming news. What PS2 games would you like to see playable on the PS4? Sound off below in the comments.